In medium bowl, mix 3/4 cup flour, the oats, brown sugar and 1/2 teaspoon cinnamon until blended. Cut in cold butter, using fork or pastry blender, until mixture is crumbly. (Do not overmix.) Set aside. In large bowl, mix Filling ingredients until well coated. Spread evenly in baking dish. Sprinkle streusel over top. Bake 30 to 35 minutes or until topping is golden brown and juices are bubbling along edges. 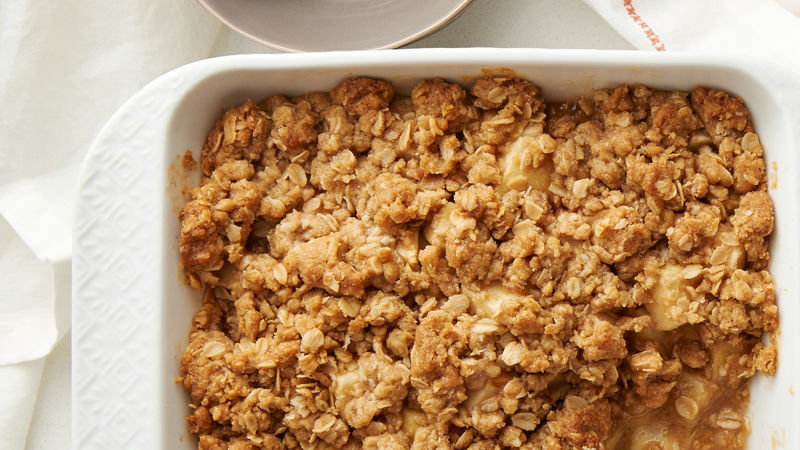 Granny Smith apples were used in this recipe—choose your favorite baking apple, such as McIntosh, Braeburn or Honeycrisp.